The tracks are as follows: Wycoller Hall, The Black Silk Handkerchief, The Moon on the 13th, Ye Olde Silent Inn, Down in Yon Forest, The Dark Stairs, The Moors, Lady of the Wind, Molly Malone, The Old Clock on the Stairs, Her Soul to a Highwayman, Top Withens, Tales of a Wayside Inn, and The Mirror in the Deserted Hall. Listen to it in the Winter twilight by the flickering light of a candle, and not alone. The Black Silk Handkerchief: I once fell in love with a traditional Irish song called ‘The Holland Handkerchief’ on a CD by American Celtic singer Connie Dover. Ever since that moment I knew I had to sing my own interpretation of it. It’s such a wonderful story-song. Ye Olde Silent Inn: I have been very fortunate to have been invited repeatedly over the past few years to sing and perform in Haworth and Stanbury. For the past two years, when I have performed at the folk night organised by the Folk at the Wuthering Heights (at the Wuthering Heights Inn, Stanbury), I have stayed at the Old Silent Inn. I am an avid reader of books featuring true accounts of ghostly phenomena, and I had read all about the ghosts of the Old Silent long before I stayed there. I love the place. I love the name! I love its location. I love the stories. It’s been such an inspiration. I wrote this little song about it, and then it developed into a whole CD loosely based upon stories and places that surround the Old Silent. Top Withens: What can I say?… If you’ve never walked out across the moors to Top Withens near Haworth, then you really must (if only because my CD will make more sense once you’ve experienced it (at the very least, look at images on the ‘net and imagine the wind wuthering and howling). I wrote this song as a tribute to the wind, and the spirits of the wind, and the memories lurking in the ruined farmhouse at Top Withens. In this song, with my voice, I try to BE that mischievious, heartless wind. You can purchase Ye Old Silent Inn CD at this link or you can download individual tracks or full albums here. Beck’s previous album was 2009’s Luminous Wings and Unseen Things, sixteen songs inspired by haunted gardens: Lavender’s Blue, In the Greenery, The Garden Seat, I Just Am, Siúil a Rúin, Down by the Salley Gardens, In a Secret Garden, Bushes & Briars, Old Mr. Crow, Tall, Waving Delphiniums in Storm-light, Thornfield, The Topiary Garden, She Moved Through the Faire, Weep Ye No More, Sad Fountains and bonus tracks Moss (Live), and Thornfield (Acoustic). 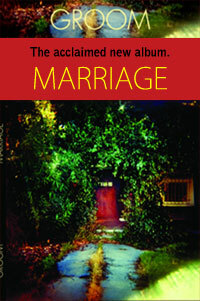 2006’s Unfurling, contained sixteen songs set within the light and shade of a Haunted Forest, featuring Celtic harp by Beck, didgeridoo by Stax: The Didgeman, keys by Paul Strahan, fiddle by Pieter Hart, bullroarer by Beck’s dad, David: Dungarvan, Unfurling, Moss, Tangled In Green, Shadow of a Dream, Greensleeves, Messages In Dreams, Under Thunderous Skies, The Blacksmith, Sherbrooke Forest, The Night Will Never Stay, The Foggy Dew, Mountain Ash, and Bonus Tracks Strahany’s ‘Black’ Mix, Ethereal, and Dream Beneath Trees. These albums are available from iTunes or Beck’s website. You can follow Beck on Facebook. This entry was posted in Beck Sian, KateSphere. Bookmark the permalink. Check them out, and the rest of Beck’s work. Well worth it. Was surprised at how much I liked Beck’s recording. It didn’t sound particularly appealing on paper, but it held my interest, and I’m looking forward to another listen (it’s available via Spotify.) I was particularly happy to hear John Carder Bush on one track! At first, I wasn’t sure it was him, and thought it was a sound-alike; but, I did a bit of research on the track and found that it was, indeed, John. Very nice. Beck seems to be quite open about the influence Kate has had on her work, but I do hear an original voice in Beck; and, I wasn’t put off by the folksiness as I thought I would be. The cover photo and press photos are another thing though–ugh. Everybody starts out being influenced by someone, and Beck has certainly picked the best. Go, Beck! Find your voice! 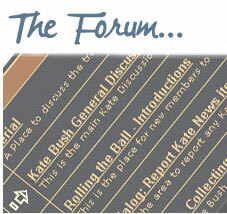 You should click on the Kate News category if you want to filter everything else out. 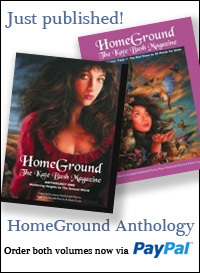 At HomeGround we always covered other and related artists. We always have done on this site. Working with Beck was a great experience last year. She certainly has got her own voice, her own inspirations and her own vision – there can be no doubt about this. A lot of what Beck does is rooted in landscape, as opposed to more social/cultural inspirations. She is a unique talent with a unique voice. I’m looking forward to her singing my songs, and to recording and producing the new material she is currently writing. Thanks Steve. We do our best here to spread the word. Looking forward to Beck’s 2013 songs.